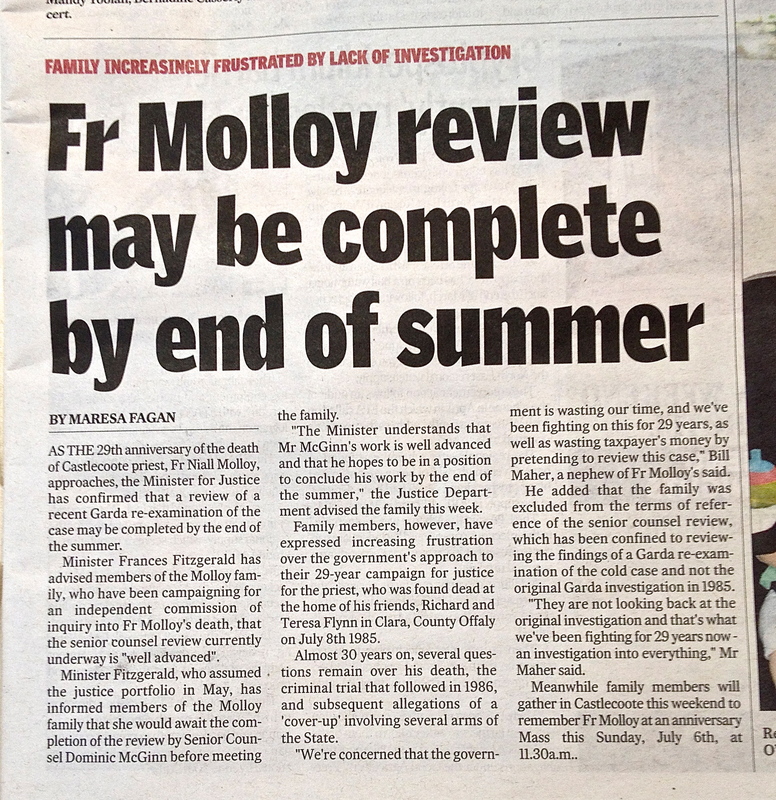 Two letters sent by a member of the Molloy family requesting a meeting have been totally ignored by Archbishop Martin. In previous correspondence he said he could not get involved because there was a Garda investigation. When that was concluded his excuse was that the case was now Political and he could not get involved. Is the Very Reverend Archbishop saying that the Catholic Church does not get involved or express an opinion on matters that might be “Political” ????????? For God and Country ? Niall Molloy was a Catholic Priest. The First Priest to be murdered in Ireland since the troubles. He also served his country as a Chaplin in the Irish Army and served overseas in Cyprus. WHAT HAS NIALL’S CHURCH AND COUNTRY DONE FOR HIM. ? Veronica Guerin claims there was a Will. Both the Church and the Army always denied one existed.